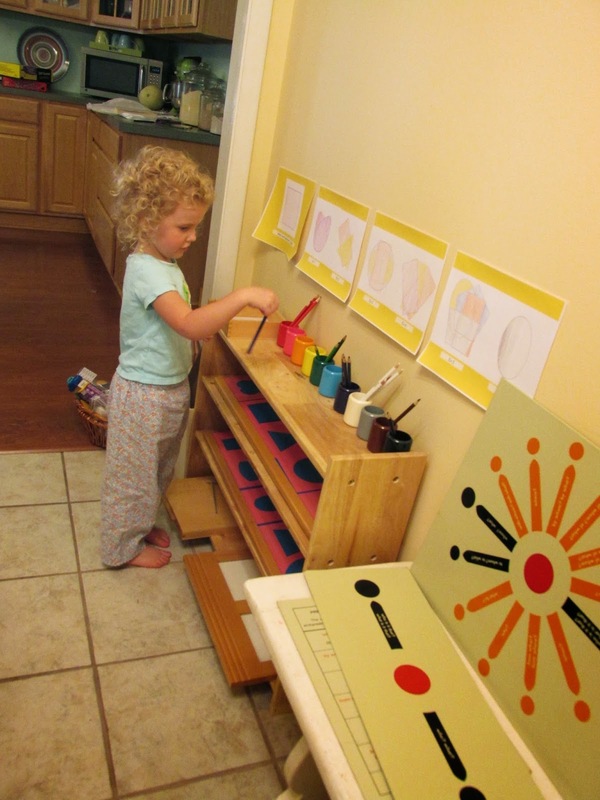 Montessori Messy: Works All Around Us! I love it when I'm puttering around the house with "Alleluia" and some chore we stumble upon becomes a decent impromptu Montessori work. This morning I was trying to let the rest of the household sleep in ("Wasabi" had returned from a month in France late last night). I was tired myself, so when everything Alleluia wanted to do was just too loud, I gave her a quiet job to do: sort through the mess of pencils and pens we store in one big tote and get the supplies ready for the next school year. 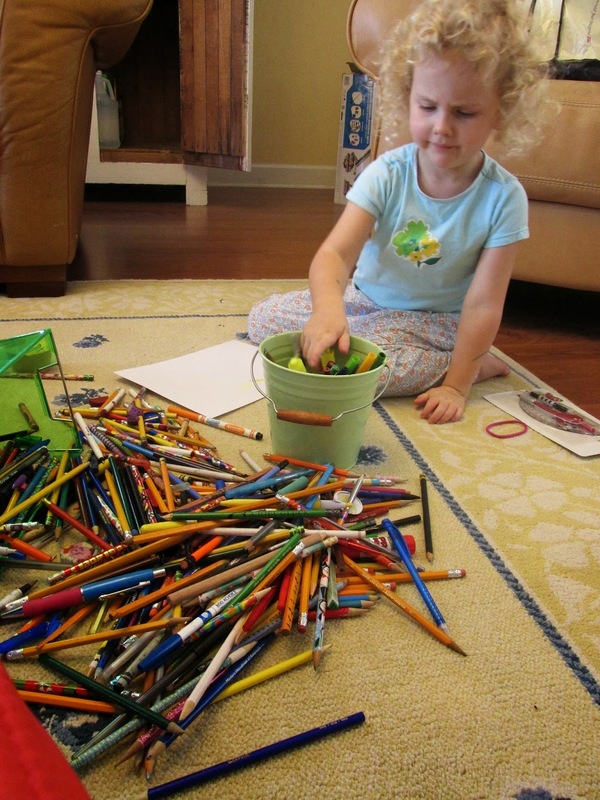 Once she had made a big pile of colored pencils she sharpened them and put each in its correct cup. This was challenging, since several shades of pencil were kind of "in between." In the end this took at least 25 minutes of focus and concentration, and--since she uses the pencils every day--she will not only benefit from her work, but her siblings and the children who come over to use the Montessori materials will also benefit. What about you? Have you enjoyed any impromptu works lately?